Attorney General Pam Bondi is drawing praise from Republicans seeking to replace her after the term-limited state Cabinet member last week took on opioid manufacturers in court. However, Democratic candidate Sean Shaw, a state House member from Tampa, questioned a delay in launching a lawsuit to try to crack down on drug companies in the opioid epidemic causing an average of 15 deaths a day in Florida. And fellow Democratic attorney-general candidate Ryan Torrens, a Hillsborough County lawyer, said he’d immediately launch a criminal investigation into the actions of pharmaceutical executives if he is elected in November. “Only when some of these big pharmaceutical executives are hauled off in handcuffs will they learn their lesson and never again prey on our people to maximize their own profits,” Torrens said. 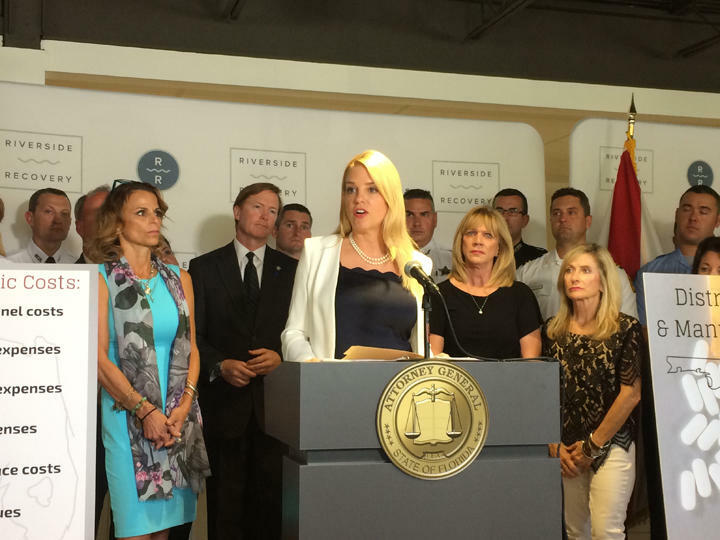 Bondi last week announced her long-expected decision to file lawsuit against five of the nation’s largest opioid manufacturers and four distributors, alleging violations of the Florida Deceptive and Unfair Trade Practices Act and the Florida Racketeer Influenced and Corrupt Organization Act and for public nuisance. None of the candidates running to replace Bondi in November disagreed with her decision to sidestep a multi-state lawsuit against drug manufacturers now before a federal judge in Ohio. Republican candidate Jay Fant, a state House member from Jacksonville, said Bondi is right to take legal action “if malfeasance has occurred” and that he’d use every tool available to go after companies that mislead the public, fuel the opioid crisis and contribute to deaths. Fellow Republican candidate Frank White, a state House member from Pensacola, also commended Bondi. “The epidemic is destroying lives, and we have to explore every option to end the suffering,” White said. And Republican candidate Ashley Moody, a former Hillsborough County circuit judge, said people responsible must be held accountable regardless if it is “an individual doctor knowingly and wrongfully prescribing drugs or some of the largest companies in the world engaged in the conduct described” in Bondi’s lawsuit. However, Shaw called it “shameful” that action hadn’t been taken earlier, as the state has been fighting the opioid crisis for years. “This state has waited too long to hold the pharmaceutical companies accountable, and we cannot continue to delay acting while people die each and every day from opioid addiction in our state,” Shaw said. 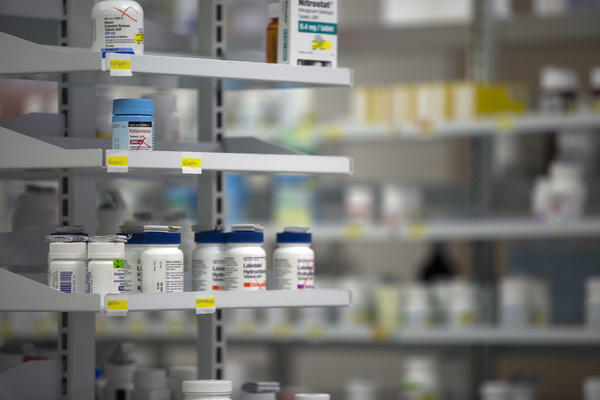 Meanwhile, the candidates were split, again by party, over a state cap on contingency fees for private lawyers, which critics said was an impediment to securing outside legal help to go after the drug companies. The cap, essentially at $50 million, was implemented by the Legislature in 2010, with an eye on the “dream team” of lawyers for Florida that was able to receive $3.4 billion after leading the state’s assault on tobacco companies. That litigation resulted in a more than $11 billion settlement in 1997. “Whatever their motivation, state taxpayers don’t need to be on the hook so fancy law firms can buy more private jets,” Fant said. Moody said the cap doesn’t appear to have “limited” Bondi in the team she’s assembled for the opioid lawsuit. Bondi recruited five law firms, including two Panhandle firms --- Santa Rosa Beach-based Drake Martin Law Firm and Panama City-based Harrison, Rivard, Duncan & Buzzett --- that she had worked with on a lawsuit filed in response to the Deepwater Horizon oil spill. Florida is suing drug companies that have steered more than $1 million to politicians over the last 20 years. 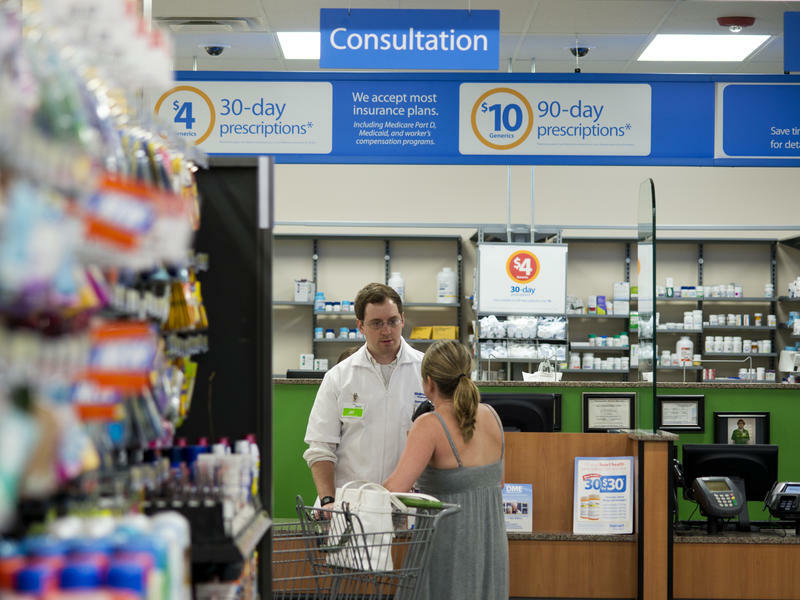 Walmart announced Monday it is introducing new restrictions on how it will fill opioid medication prescriptions in all of its in-store and Sam's Club pharmacies.